The swirl of events enveloping Riyadh these days has Crown Prince Mohammed bin Salman at its vortex. Ambitious and audacious, the Prince, known abroad as MBS, looks to be in a rush to consolidate power while his octogenarian father, King Salman, is still alive. His actions have left the world agog and investors rattled: the arrest of over 200 people - fellow princes, ministers, top officials and billionaires, among them Prince Alwaleed bin Talal, one of the world's richest men. The massive crackdown is framed as one targeted at corruption, but has also attracted accusations of a power grab by an impatient young royal well known for his shock-and-awe tactics in foreign policy. One important question arises: Where is the King in all this? If his 32-year-old son acts like a dictator, does not this jeopardise the standing of the monarch? Through all this trashing of consensus and precedent, the King appears inexplicably aloof and untouched by reproach, unlike the Crown Prince. In the 1950s, when Gamal Abdel Nasser overthrew the King of Egypt, monarchs headed for the dustbin of history. Yet it is the kings who remain standing after the more recent Arab Spring, not the presidents. How does that happen? Incumbency confers immense advantage upon the monarch. While princes may elbow one another, to attack the king himself is the beginning of collective suicide. The king provides continuity for all royals. And, in a Middle East terrified of more social upheaval, continuity is a public good revered by the population at large as well. People will even tolerate some instability in the short term to secure long-term continuity. This is the proposition MBS is offering, and why he may have carte blanche for a while longer, with support starting with the 70 per cent of the population under 30 he invoked at his recent "Davos in the Desert". In arresting leading princes, ministers and businessmen, MBS went for the first order of a king's business - continuity. By grabbing them all together - including, shockingly, the glamorous international financier Prince Alwaleed - he hoisted on display what would henceforth be known as the old regime of partnerships between princes/ministers and businessmen. They would no longer be worms in the entrails of the state, challenged as it already is with low oil prices and budget deficits. These old men had grown rich through decades of collusion, overcharging the public and under-delivering. In Malaysia, the term "Ali Baba" has been coined for similar cabals involving bumiputera politicians and local Chinese businessmen. Notably, a number of the businessmen caught in the Saudi sweep were descendants of foreign Ethiopians, Yemenis and South Asians operating out of the cosmopolitan port-city of Jeddah. Jetsam washed ashore, in the local lingo. Not much sympathy there for Ali Baba and the 40 thieves. 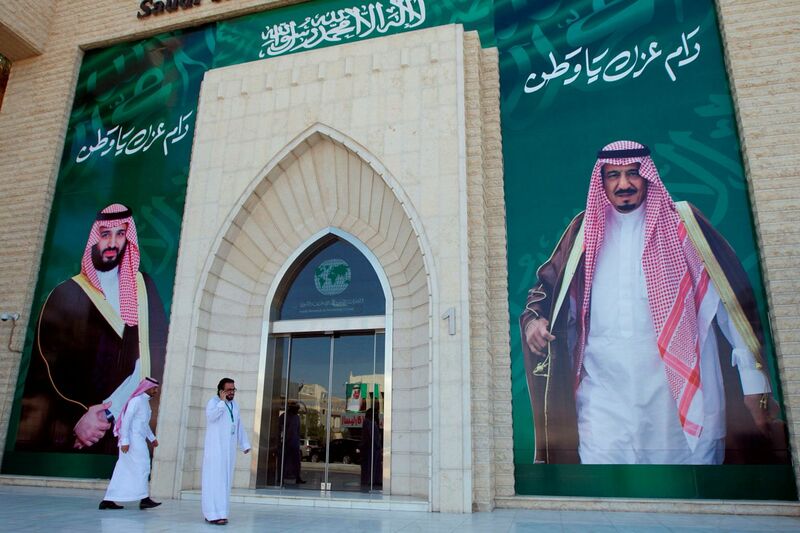 Now, the Saudi kingdom does not lack jails. By housing his posh prisoners in the regal Ritz-Carlton, MBS is making a spectacle of them. A sprawling, 21ha complex "originally envisioned as a royal guest palace for visiting dignitaries and heads of state", as its management announced on opening day, the Ritz is a ready-made stage of the highest order. It had, barely 10 days before, hosted the A-listers of world finance, including the heads of SoftBank, BlackRock and the International Monetary Fund (IMF). Five months before that, it was the venue for a summit featuring United States President Donald Trump and the leaders of 55 Muslim countries. This was the gold standard of global business and Islamic politics. Convening them at the Ritz put the Saudi King's majesty on full display, if ever there was any doubt. And detaining the "Ali Babas" at that same Ritz shows precisely how far short they are of the gold standard, by comparison. While some observers say the economy will be hit, and the country can kiss foreign investments goodbye, others feel differently. Internally, a shakedown of well-heeled individuals would receive the approbation of a population labouring under a self-imposed, IMF-style structural adjustment process, which is what MBS' reforms amount to. The rich old guys should do their share. It could be structured as a one-time reparation of funds owed to the public treasury, not unlike the deal Mr Trump is proposing for the likes of Apple - the repatriation of billions from abroad at a negotiated tax rate. Externally, scrapping the local-partner requirement creates a huge incentive for foreign investors, now rid of the thousands of "Ali Babas" and their percentages. Instead, they can go straight to the top and partner the government-linked companies and sovereign wealth fund that are now gearing up for business. Oases of efficiency and excellence with international reputations, such as Saudi Aramco and the Saudi Arabian Monetary Authority, will be leading the charge. Costs will be lower. To be sure MBS is fighting foes on many fronts, both domestically and in the region. How this will all play out is anyone's guess. But in the meantime let's not forget the Saudi King, who is also Prime Minister and owns all the buttons the Crown Prince is pushing. • The writer is director of the Middle East Institute, National University of Singapore.